It is important for a tree’s health to be pruned. Pruning can reduce problems for a tree as it grows, in addition to being safer for homeowners and increase the value of their property. 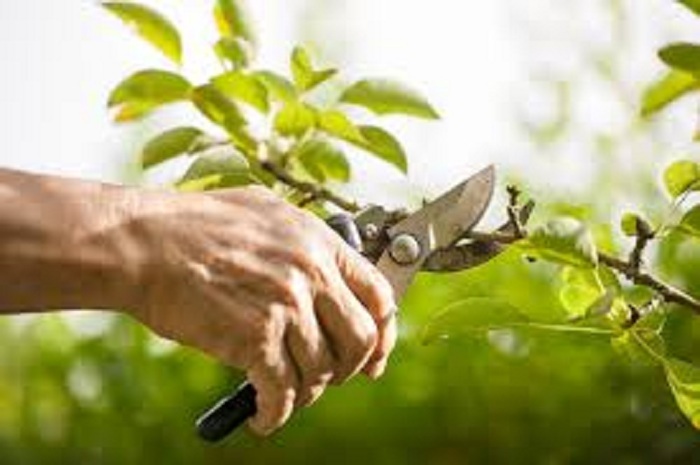 But there is a difference in timing for pruning and how to prune between areas and trees so if you’re not sure on how or when to prune you may want to consult a tree pruning professional. A homeowner that intends to prune a tree themselves should learn about the branch yoke. The branch yoke is the part of the branch that connects to the tree where the tissue is contained. A homeowner should not cut into the branch yoke/collar because it is what holds the power to seal the parts of the branch that should be trimmed, as well as, creating for insects and disease to enter the tree. It’s important to not leave a stub or cut into the branch collar. It’s good to prune a tree while it’s young so help ensure its growth is healthy and safe. Since a tree has its own defense system to seal properly performed pruning cuts, small, young branches will seal more quickly. In order to know if a tree needs pruning it should be looked at from a distance. If it has dead or dying limbs it would need pruning. Limbs that are growing too high, in the wrong direction, or are cross limbs should have some attention. It’s important to understand that pruning a tree is not the same as tree topping. Tree topping is not good for a tree like a tree pruning is and one should never prune the crown by more than 25%. In Nevada, the pruning season is quite flexible. But for most trees pruning should be done in late winter or early spring months which allows a less chance for disease, fungi, or insects to wound the tree. When it comes to dead branches, however, they can be cut out at any time. If you don’t understand the difference, you may want to contact a tree pruning company to assist you. It can be quite dangerous to prune high branches so if you choose to hire a professional tree pruning company make sure they are certified or licensed and carry insurance. This way you are protected if something happens during their servicing.